One of H.G. Wells’ beloved sci-fi classics is coming back to TV. 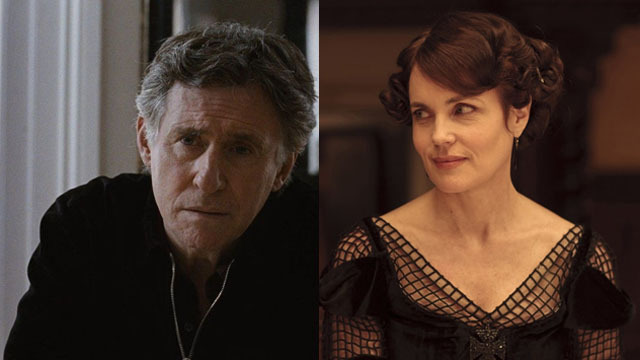 According to Deadline, StudioCanal’s take on War of the Worlds has cast two of its leads: Gabriel Byrne and Elizabeth McGovern. Byrne is known for his roles in The Usual Suspects, Miller’s Crossing, End of Days, and Assault on Precinct 13. From 2008 until 2010, he starred on the HBO series In Treatment. Byrne’s work on this show won him a Golden Globe for Best Performance by an Actor in a TV Drama. Since then, Byrne has made recurring appearances on other shows, including Vikings and Netflix’s Maniac. Meanwhile, McGovern earned acclaim for her iconic role as Cora Crawley on Downton Abbey. She also earned a Best Supporting Actress Oscar nomination for her role in 1981’s Ragtime. This new take on War of the Worlds is described as a contemporary re-imagining set in modern Europe. It follows a group of humans who band together following a devastating alien invasion. Wells’ story has been adapted countless times for multiple media since its publication in 1898. The novel was first translated to film in 1953 and later received a high-profile remake in 2005 directed by Steven Spielberg and starring Tom Cruise. A sequel to the original film was eventually made as a TV series that aired from 1988 to 1990. BBC is releasing its own TV adaptation this year with Rafe Spall and Eleanor Tomlinson starring. Howard Overman, creator of the British series Misfits, is developing War of the Worlds. AGC Television and Fox Networks Group Europe and Africa are co-producing the venture, which will air as eight 60-minute installments. Other cast members include Léa Drucker, Natasha Little, Daisy Edgar Jones, Stéphane Caillard, Adel Bencherif, and Guillaume Gouix. How do you think the cast of War of the Worlds is shaping up so far? Give us your take in the comment section below!